Late 2010 officially marked the beginning of the work of the Communal Police in the National Assembly, in the presence of government representatives. 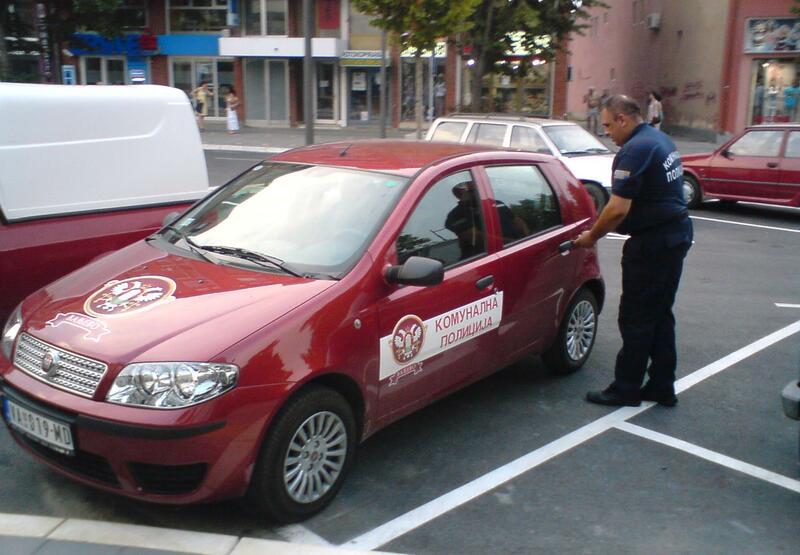 While the authorities announced that municipal police contribute to solving municipal problems and changing Serbia for the better, due to several incidents that occurred shortly after the start of this service, the Municipal police officers have quickly gained the image of arrogant policemen who often exceed their authority. One of the first incidents that fueled the public debate on the powers of municipal police was that a citizen, Dragan Cimbaljevic, who was a bus passenger without a ticket, was beaten by a municipal police officer because he refused to leave the public bus. Even though the head of municipal police gave resignation to the officer involved in the incident, Gorjan Obrenovic, municipal police conflicts with citizens continued according to media reports, but this time, recordings of incidents were uploaded on the internet. The most common incidents are in the public transport, street stalls, and also with journalists. From October 2012, until the last incident in June 2016, when, during a discussion with municipal police officers, Vladan Marinkovic (a watermelon salesman) died of a heart attack, there were at least nine incidents involving some kind of force from the police. The incidents mainly occurred in markets, street stalls, in public transportation, but there was also a recorded incident in Leskovac, when a municipal police officer and traffic inspector slapped a twelve year-old child after the incident, claiming that “the boy actually attacked” them. In March 2015, the incident was recorded when members of the Municipal Police detained activists from the initiative “Ne da(vi)mo Beograd ” (don’t drown Belgrade), while they were in front of the town administration buildings sharing a newsletter of the initiative, even though the activists had obtained an official permit. Two incidents have attracted a lot of attention related to the prevention of journalists doing their work, and both incidents occurred in the area of “Belgrade on Water”. At the end of September in 2015, the news crew of “Istinomer” (the truth meter), were detained by the municipal police without stating a legal basis for it, and they were removed with the use of force, together with their interviewee, from the location where they planned to conduct the interview near the “Savana” restaurant. After less than a month, municipal police confiscated the camera of the portal “The Scream ” reporter, and deleted recordings; on that occasion, the journalists were trying to question the mayor of Belgrade, Sinisa Mali. It turns out that the incident was attended by the Chief of Municipal Police, Nikola Ristić. After the incidents with reporters of the “The Scream” and“Truth Meter”, the Ombudsman, Saša Janković, found that it was improper and illegal conduct of the Serbian Municipal Police, and responded and outlined 32 recommendations. In his report, Janković alleges that Ristic presented false data about the incident with “Scream”, which was in apparent contradiction with the content of the recording of the event available to the public. The Ombudsman, among other things, recommended the dismissal of the Chief of the Communal Police, Nikola Ristic. After that, the municipal police informed the Ombudsman that it has accepted its recommendations, and noted that the communal police, in their future work, will react only in cases prescribed by law, or in cases which are under the jurisdiction of the municipal police. After the response of the municipal police, the Mayor of Belgrade, Sinisa Mali, said the Municipal Police Chief, Nikola Ristić, will not be removed because the municipal police reacted to the recommendations of the Ombudsman, and apologized after the incident.